The De Medica guild talks about the cooking and medicinal properties from the plants, herbs and spices perspective. This guild also represents the importance of trade, both within medieval Britain, Europe and worldwide in general (especially the middle East and crusader states). 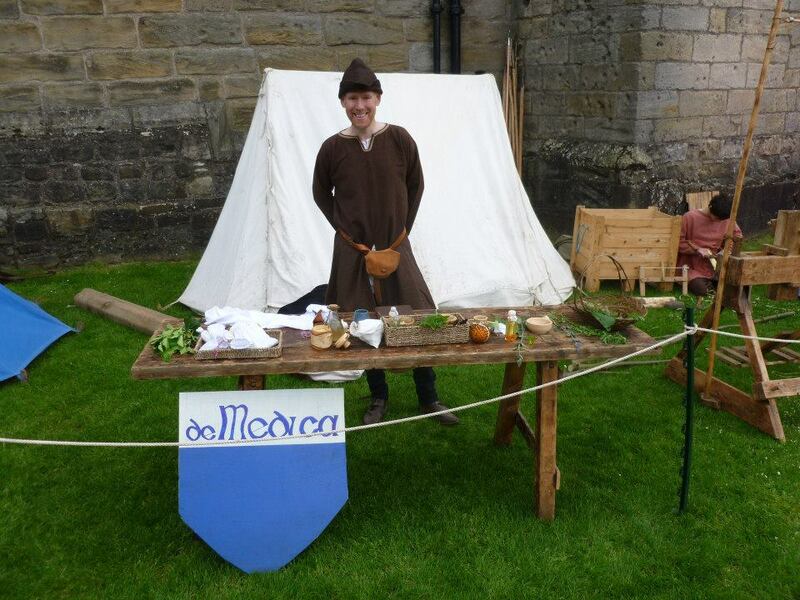 Our guild leaders grow their own collection of herbs to give the audience a chance to really experience the ‘fresh’ medieval apothecary.